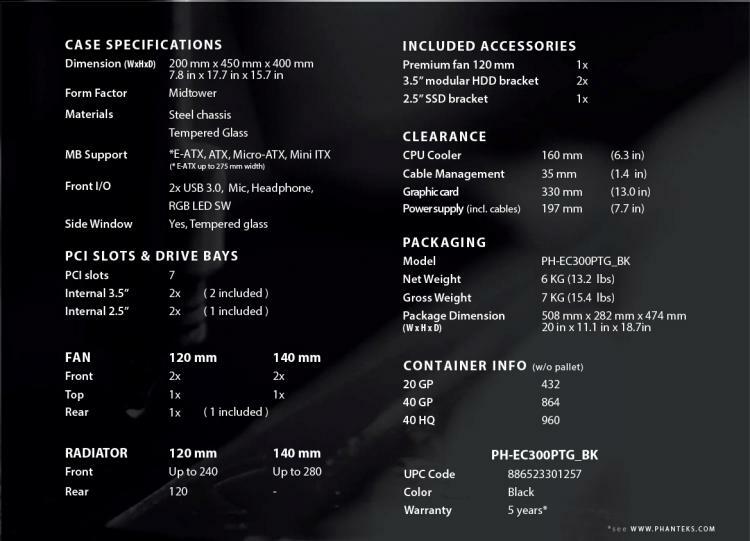 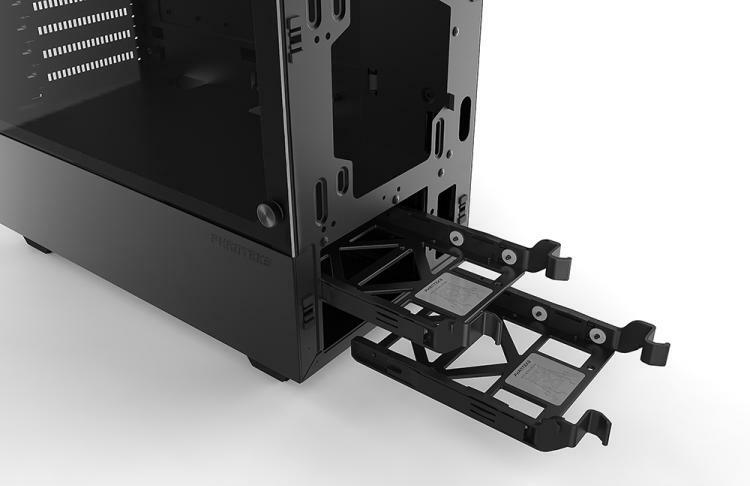 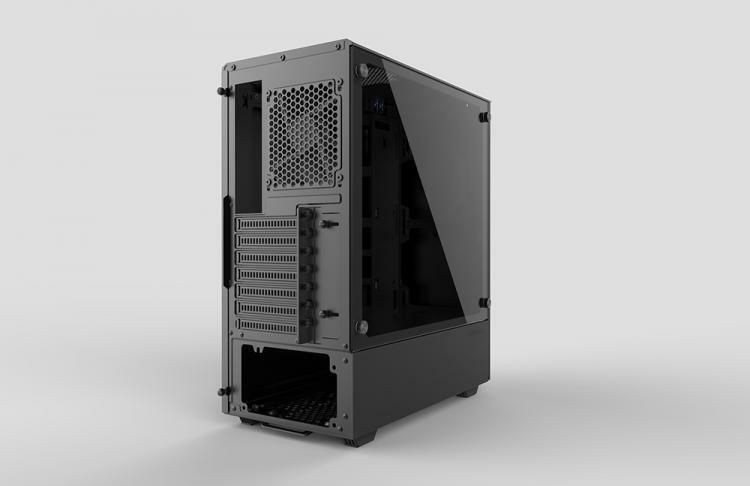 Phanteks introduces a new variant of the budget-friendly Eclipse P300 Series – the Eclipse P300 Tempered Glass edition chassis. 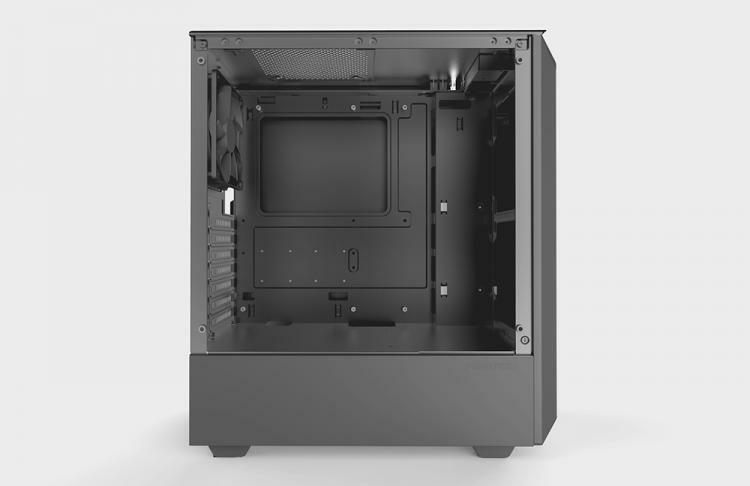 It features a new and improved clean exterior and interior design that will ensure visible hardware inside will look perfect with the help of its intuitive and convenient component installation. 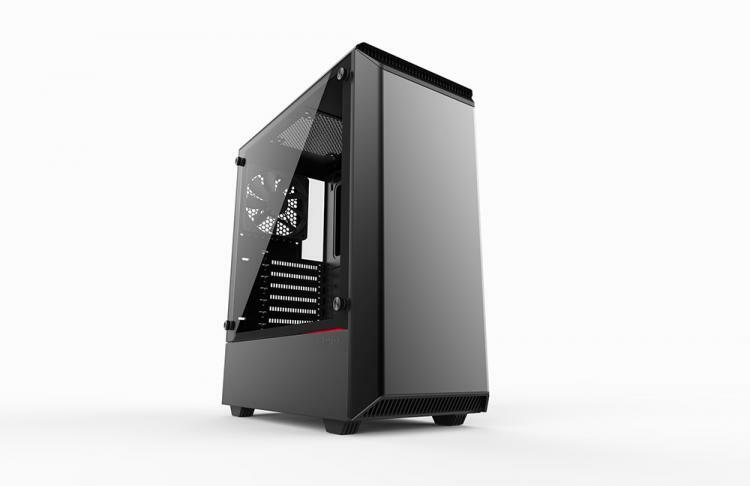 The Phanteks Eclipse P300 Tempered Glass Edition offers premium build quality with a full metal interior and tempered glass side panel. 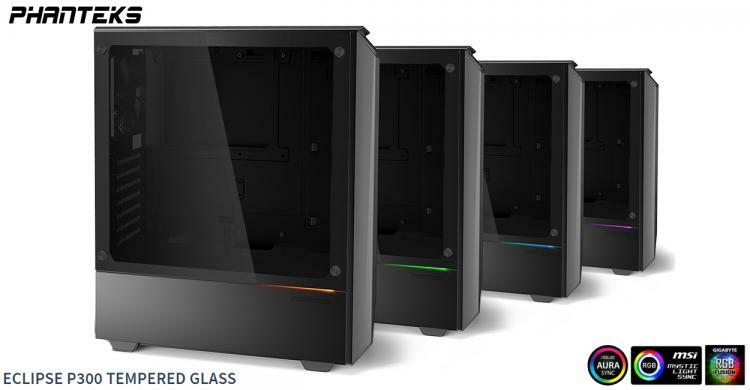 - Integrated RGB illumination modes with support for Phantek RGB products and partner brand’s RGB Synchronization application including ASUS Aura, MSI Mystic Light and GIGABYTE RGB Fusion.